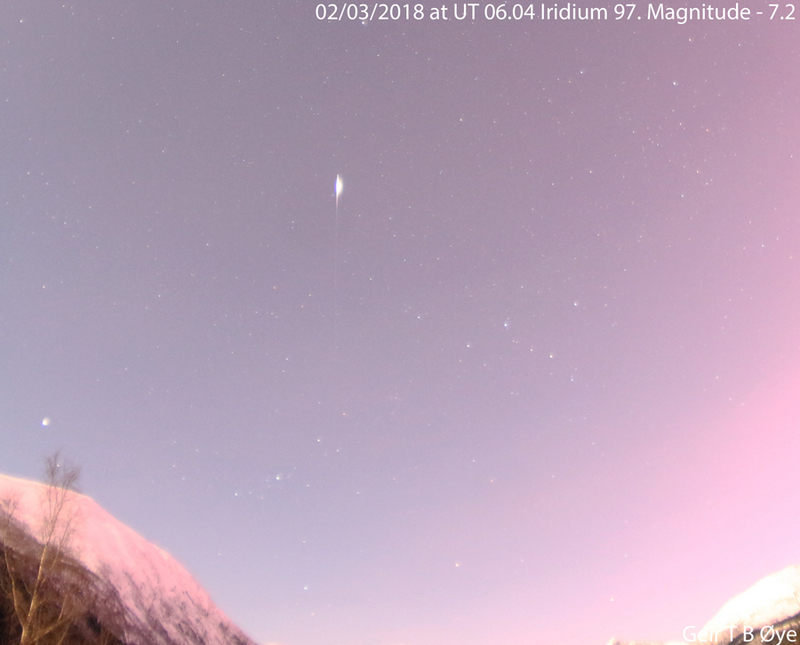 Iridium 97 flaring up in the morning sky. Photographed on February 3, 2018 at 07.04 local time. Estimated magnitude – 7.2. This entry was posted in Astronomy on February 3, 2018 by admgeiroye.